Are You US Army Fit? The new combat effective fitness test, could be ready as early as October this year and rolled out across the whole service by 2020. 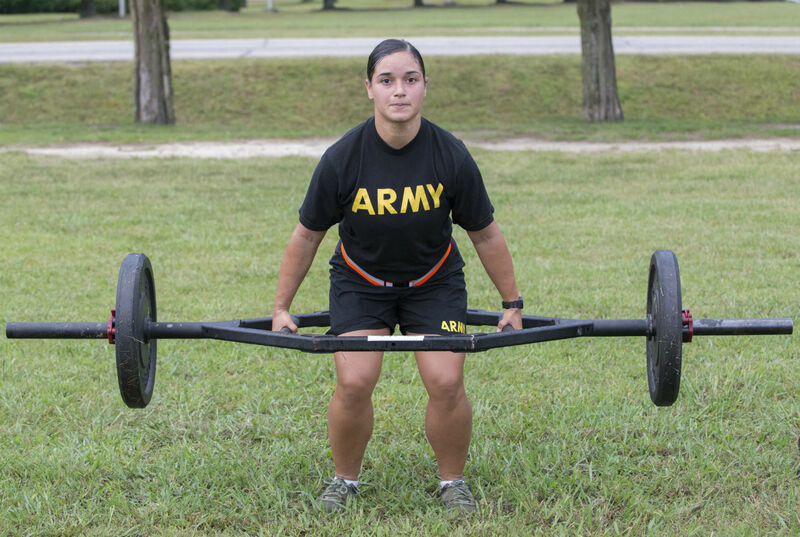 In addition to improving combat readiness, the goals of the new test are to “transform the army’s fitness culture,” reduce preventable injuries, and “enhance mental toughness and stamina of the soldiers,” according to the site, which outlines the requirements and offers tips and videos for training. Dead-lift between 120 and 420 pounds, at least three times. According to the army, this ability represents movements required to “safely and effectively lift heavy loads from the ground, jump, bound and tolerate landing” – all skills that are useful in combat. Throw a 10-pound medicine ball backward and overhead for distance. The requirement for this event stems from the ability to use “quick, explosive” movements to manoeuvre equipment. Complete as many hand-release push-ups as possible in two minutes. Do five, 50-metre shuttles involving sprinting, dragging, lateral, carry and sprint with a 40-pound kettlebell and a 90-pound sled. This is a test of “strength, endurance, and anaerobic capacity,” according to the army. As many leg tucks as you can do in two minutes while on a climbing bar. This portion of the test assess strength of grip, arm, shoulder and trunk muscles. Run two miles for time with the aim to be under 12 minutes and 45 seconds. According to the army, the run measures aerobic endurance – a requirement for ground movements and operations. To pass, one will need a 60-points minimum on the new test – which will be age-and-gender neutral. According to the report, recruits from 10 southern states were “significantly less fit” – and consequently more likely to encounter injury. The new fitness test will be tested in October by unit type but will likely be army-wide by October 2020.